Create Your Own Enterprise Network - Engage with your staff and patients in a secured environment. 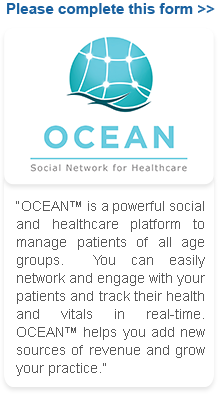 Monitor Your Patients - Track vitals and health reports, and provide consultation and alerts - all in real-time. Grow Your Practice and Revenue - Get leads and referrals, connect with patients and add new revenue to your practice. Network with Specialists and Providers- Connect, share, and discuss with your own team of specialists and medical service providers. Collaborate, streamline your practice, improve patient engagement and increase your efficiency. Add new sources of revenue and grow your practice. Medical Facility: Start Collaborating! Sign Up Now.